Íslenski sjávarklasinn » 3X technology ehf. 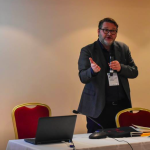 3X Technology var stofnað árið 1994 á Ísafirði, undir nafninu 3X Stál. 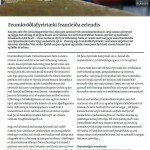 Í upphafi byggði starfssemi fyrirtækisins á hönnun og framleiðslu á búnaði úr ryðfríu stáli og þjónustu við sjávarútvegsfyrirtækin, einkum rækjuverksmiðjurnar, á Ísafirði og nágrenni. 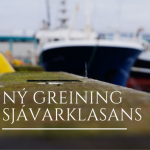 Farið var að huga að markaðssókn erlendis þegar árið 1997 og hófst útflutningur til Kanada síðla á því ári. Árið 1999 opnaði 3X söluskrifstofu í Kanada vegna mikilla verkefna í uppbyggingu rækjuiðnaðar þar. 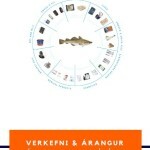 Frá árinu 2002 tengdust megin verkefni fyrirtækisins innleiðingu á heildarlausnum í móttöku og karameðhöndlun fyrir rækju og bolfisk.Árið 2006 kynnti 3X nýja gerð uppþíðingarkerfa fyrir fiskblokkir, sem eru nú í notkun víða í Evrópu. 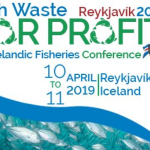 Sama ár kynnti 3X heildarlausn í vinnslu á fiskmarningi, sem skilar mun hærra afurðaverði en hefðbundar aðferðir. 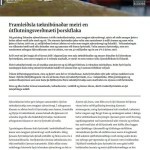 Árið 2006 hlaut 3X Útflutningsverðlaun forseta Íslands fyrir ágætan árangur sem fyrirtækið hafði náð á skömmum tíma í sölu og markaðsetningu á sérhönnuðum tækjum og tækjalausnum fyrir matvælaiðnaðinn. Árið 2007 var nafni fyrirtækisins breytt í 3X Technology, með aukinni áheyrslu á erlenda markaði, einkum Evrópu. 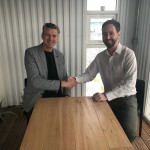 3X Technology býður upp á úrval af lausnum fyrir matvælaiðnað, bæði stöðluðum og sérhæfðum. Hjá 3X vinnur hópur tæknimanna, hönnuða og ráðgjafa með mikla reynslu við að innleiða og sérsníða lausnir fyrir matvælavinnslu. 3X Technology was established in 1994 in Iceland. 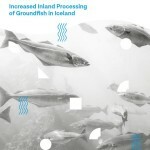 In the early years the focus was on designing and producing processing equipment for the seafood industry in Iceland. Now 3X Technology offers a wide variety of equipment for companies in the food industry worldwide.3X Technology has developed innovative machinery and equipment for fish, meat and vegetable processing as well as for the pet food industry. Our equipment is designed to fulfil the most stringent requirements for hygiene, freshness and product consistency. The goal of the people at 3X Technology is to be the innovative leader in food processing operations and increase productivity for our customers around the globe with the most efficient solutions. 3X Technology offers a wide range of both standardised and specialised solutions. With a professional team of engineers, technicians and designers 3X Technology is able to design and produce tailor made solutions to match the needs of the individual customers. 3X Technology provides extensive and flexible service which ensures minimum down-time and optimum productivity. 3X’s experienced consultants act as partners in developing processing solutions that lead to higher profits for each customer.